Hours before the Election Commission of India (ECI) was to release the dates of the forthcoming 2019 Lok Sabha elections, the Yogi Adityanath government today hurriedly announced the new office bearers of several autonomous boards, commissions and corporations in Uttar Pradesh. This also included the UP Gau Sewa Aayog, which had been functioning without its principal office bearers since last several months. Once the poll dates are announced by the ECI, the election model code of conduct comes into force, which prohibits the central and state governments from making any fresh announcements or taking policy decisions. The government claimed the decision to nominate new office bearers had been taken yesterday itself, although the state’s official press communiqué was made only this afternoon. 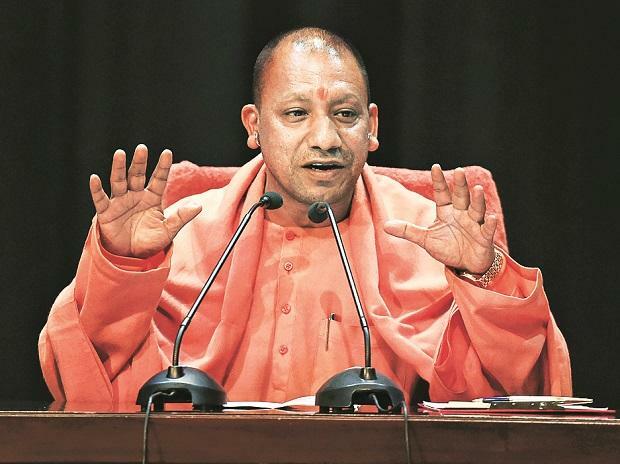 According to a state government spokesperson, the Adityanath dispensation has nominated Prof Shyam Nandan of Firozabad as the UP Gau Sewa Aayog chairman, Jaswant Sinh alias Atual Singh of Kushinagar as vice chairman and Krishna Kumar Singh ‘Bhole Singh’ of Chitrakoot as the member. In UP Budget 2019-20, the state government had provided nearly Rs 600 crore for the setting up and maintenance of cow shelters in the urban and rural areas. However, the Aayog had been functioning without its chief executives, which was hampering its mandate, especially considering the fact that protection of cow has been one of the core agendas of the Adityanath government since coming to power in March 2017. Last year, UP Gau Sewa Aayog had even suggested the state home department to facilitate setting up of the cow shelters in prisons. It had even sought land from the Provincial Armed Constabulary (PAC) across the state for running cow shelters, but the proposal was turned down by the home department and the PAC, expressing practical impediments in concurring with the suggestion. Meanwhile, noted standup comedian Raju Srivastava of Kanpur has been appointed as the chairman of UP Film Development Council, while Tarun Rathi of Amroha has been nominated as the member. Sudama Rajbhar of Ghazipur and Ajay Pratap Singh of Kanpur have been nominated as the member of the UP Animal Husbandry Development Council. Similarly, prominent personalities, social workers and politicians have been nominated as office bearers of UP Higher Education Services Commission, Hindustani Academy (Prayagraj), UP State Integration Council, UP Pollution Control Board, among a host of other organisations.